Good service, Good prices, Good people. I will back. Outstanding Service Department. Great employees. Courteous and engaging. This is the place to go if you want to buy a Jeep in the Lowcountry. Huge inventory to pick from. Great customer service. Went to Butler to claim a 'flyer prize'. The salesman was friendly, not pushy after we stated we are fine with our current vehicle. He showed us to the prize list and nothing big but we did win a gold dollar.☺ He made sure to enter me in the 'Grand Prize' drawing . I went back to Butler for the drawing, lots of people and they gave out good prizes including a 2009 Jeep Wrangler. Congrats to the winners. It was an interesting experience. I would recommend you check out a prize event if you get a flyer and definitely if you want a Dodge, Jeep or Chrysler. I went in looking for a nice car on 3/13/2019. I was met by Narlie Kirby as soon as I got there. He was very nice. I ended up getting a 2017 Kia Forte. Although it was not the car I had my mind set on it was a nice car and I liked it. I had 2 issues. The first one was in the front of my car something was hanging down and rubbing on the road, I took my car back on 3/15/2019 and was told I probably hit something which I did not. The 2nd problem was with my front right tire, I again took my car back on 3/28/2019 and was told I ran over something which I did not. My boyfriend took the car back the next day on 3/29/2019 the tire was then fixed. All of this happened within 2 weeks of me having my car. The car is now running smooth and I'm enjoying it. Thought I would step outside the box on the most recent vehicle purchase and went to Peacock first. Boy was that a bad idea. Came to my senses and Beaufort CDJ was there for me. Ended up with a better vehicle and much better price. Have had zero issues with their service department. Use them for everything automobile related. Tires, AC, tune-up's, parts, accessories, etc... Can't wait to see the new building. It goes without saying that the only thing better than laying eyes on your next new Ram 1500, Dodge Charger, Dodge Challenger, Dodge Durango, Jeep Cherokee or Chrysler 300 for the first time is taking in that new-car smell once you’re behind the wheel for a test drive. 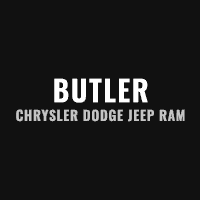 After taking it all in, Butler Chrysler Dodge Jeep Ram can bring you up to speed on every aspect of the model you’re considering in order to make you feel as though it’s been yours all along. Interested in the time-tested value of a pre-owned vehicle? Butler Chrysler Dodge Jeep Ram has an incredible selection of used cars available here in Beaufort. Our reliable array of vehicles spans across several auto brands, so you’re sure to find a pre-owned vehicle that perfectly suits your needs. We know full well that buying a Ram 1500, Dodge Charger, Dodge Durango, Jeep Cherokee or Chrysler 300 is one of the biggest and most important investments you can make. Here at Butler Chrysler Dodge Jeep Ram, our financial experts will guide you every step of the way to get you behind the wheel in a way that you’re completely comfortable with. Thanks to our wide selection of car loan and lease options to choose from, owning the car of dreams has never been easier. If you’d like to learn more about everything our dealership has to offer, feel free to pay us a visit here at 1555 Salem Rd in Beaufort, SC. When you come to Butler Chrysler Dodge Jeep Ram, quality and service come standard.